We offer 2, 4, 6 and 8 yard containers. We currently service Grandview, Lee’s Summit, Shawnee and Belton. We offer 6, 8, 10, 15, 20 and 30 yard containers. We do trash and recycling service a little differently. We believe in RELIABLE trash service at Affordable prices. We do things the RIGHT WAY, the first time. We pick up trash completely EVERYTIME, and leave things BETTER Than we found them. We believe in CLEAN STREETS and EXCELLENT customer service. But most importantly, we believe trash and recycling service should be SIMPLE. Household trash should be placed at the curb by 6 am on the morning of your collection day. All trash must be in a 65/95 KC Disposal container. We appreciate you using no larger than 33 gallon bag size as it save all our backs. 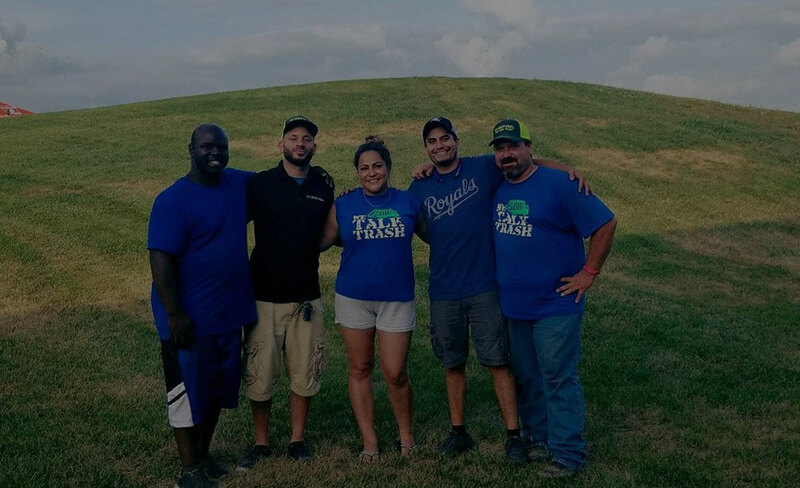 Please contact our office at 816-388-9739 and ask one of our employees if we service your neighborhood. How often do you collect my trash? We collect one time per week. Give us a call to see if we can accommodate your disposal schedule. We bill quarterly. If you start after the month has already begun we will prorate your bill for the remaining time in the month. I’ve gone through KC Disposal for two houses & have never been unhappy. They have amazing customer service & attempt to fix any issues in a timely manner and to the best of their ability. I also enjoy that they do recycling, it really cuts down on the trash. I highly recommend this company anytime someone asks or is looking! These folks at KC Disposal are very helpful, great to work with and go above and beyond to help their customers. Had a great roll off experience from order to delivery and pickup. They called to make sure I was done or needed more time, had the pickup on time and overall very easy to work with. Call them for all your pickup needs. I realized this morning that I forgot to set out the trash last night when I got home when I heard the trash truck coming. I was so surprised that the young man actually came up and got my can that was sitting by my garage and dumped it. I am so glad I decided to change my service. This company goes above and beyond to help their customers. I will sing your praises to everyone I know! Thank you again!